This is an updated version of a post originally published on August 31st, 2016. 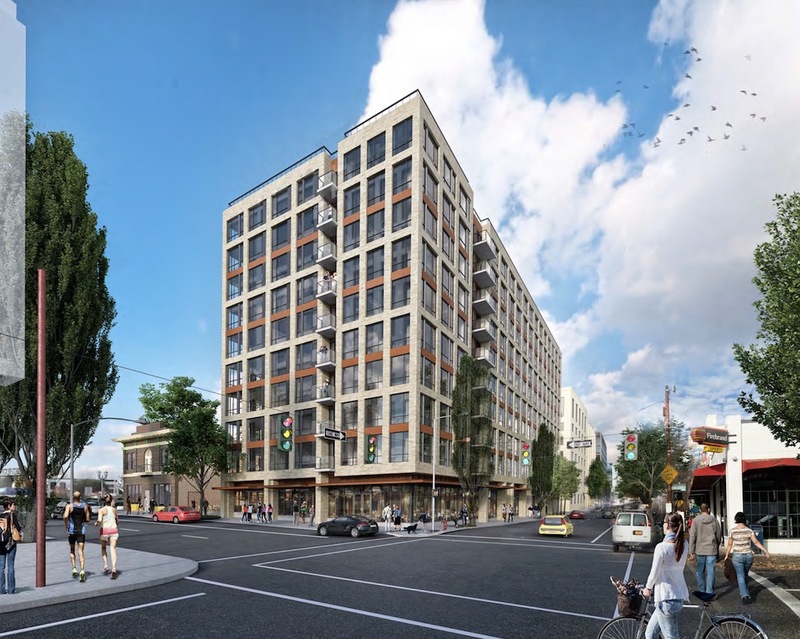 Construction is underway on a mixed use tower at NW 14th & Glisan. 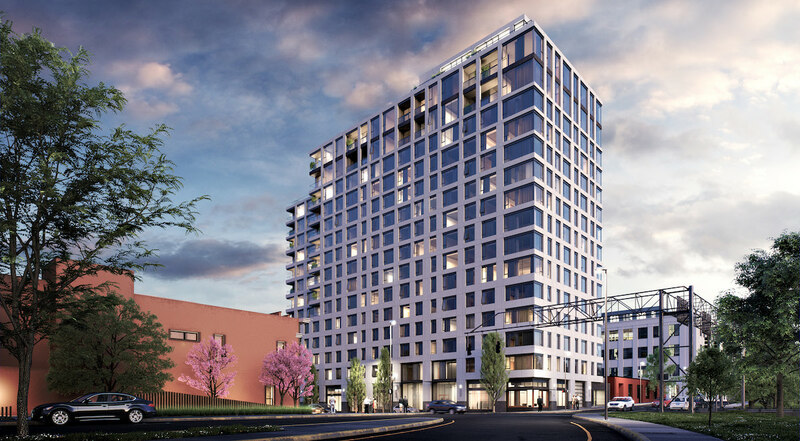 The 16 story, 174′ tall building by Ankrom Moisan Architects for developer Holland Partner Group will include 230 residential units and 6,359 sq ft of ground level retail. A property tax exemption approved by the City Council in 2016 will allow for 20% of the units in the building to be affordable to households earning no more than 80 percent of median family income. 4 levels of below-grade parking will provide room for 206 vehicles and 362 bicycles. 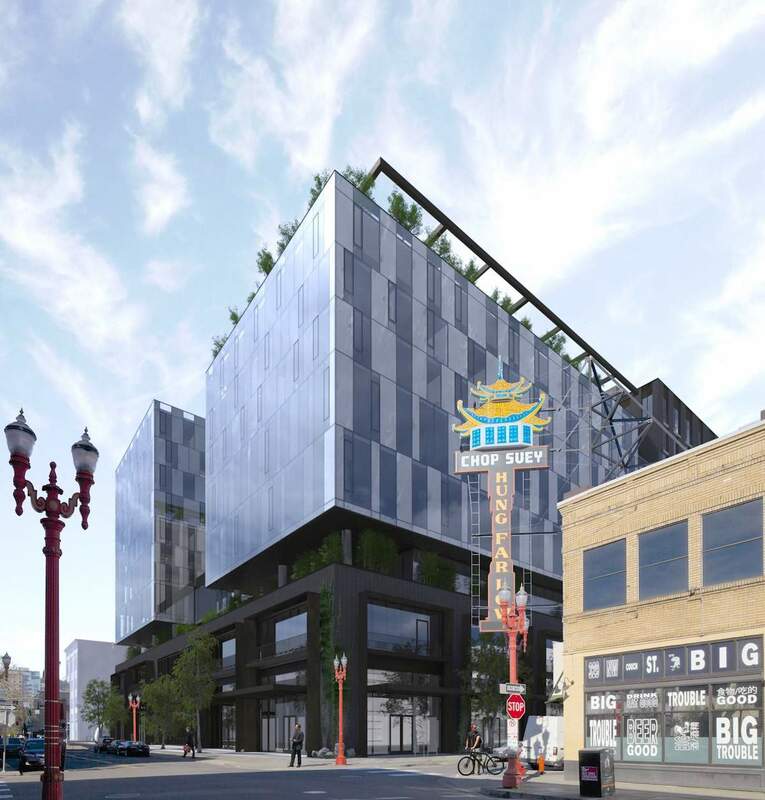 A mixed use development on Old Town Chinatown Block 33 has gone before the Historic Landmarks Commission to receive Design Advice. 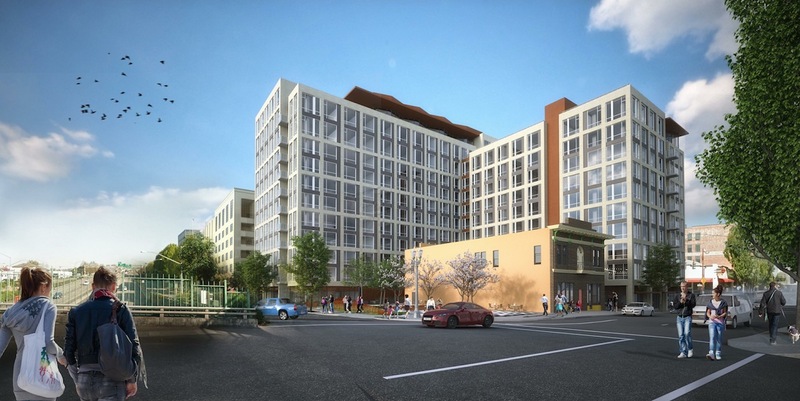 The project by William Kaven Architecture for developer Guardian Real Estate Services would include retail, residential and offices uses, over three levels of below grade parking. The ground floor of the building would be almost entirely retail, while the four stories above it would be occupied by office space. The top five floors would include approximately 167 apartments units, with a mix of affordable and market rate units. The Modera Glisan by SERA Architects has gone in front of the Design Commission for an initial Design Review hearing. 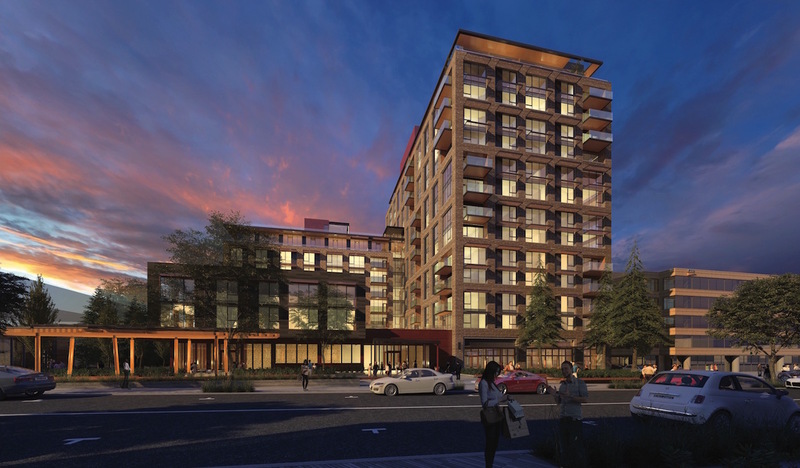 The 12 story, 145’ tall building for Mill Creek Residential Trust will include 291 residential units at the upper floors, which ground floor retail and office space facing NW 14th Ave and Hoyt St. Below grade parking for 206 vehicles is proposed. Long term parking for 477 bicycles will be provided. This is an updated version of a post originally published on December 18th 2015. 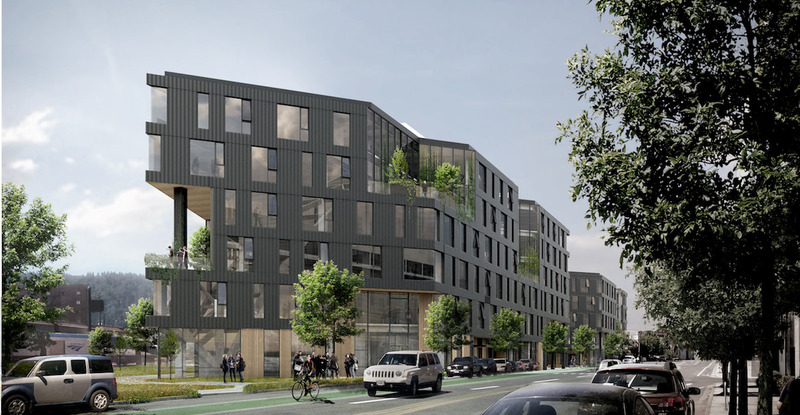 Construction has started the Field Office, a pair of 6 story office buildings planned for Northwest Portland. The two building development by Hacker architects for developer Project^ will total 304,530 sq ft, including 7,086 sq ft of ground floor retail space. Landscaping by Lango Hansen will feature prominently in the design, with carve outs at the upper level of the building that create “high parks”. Parking for 355 cars will be provided in a below grade parking garage spanning beneath both buildings. 270 of the spaces will be provided in a mechanized parking system. 96 bike parking spaces will be provided, with adjacent locker rooms. 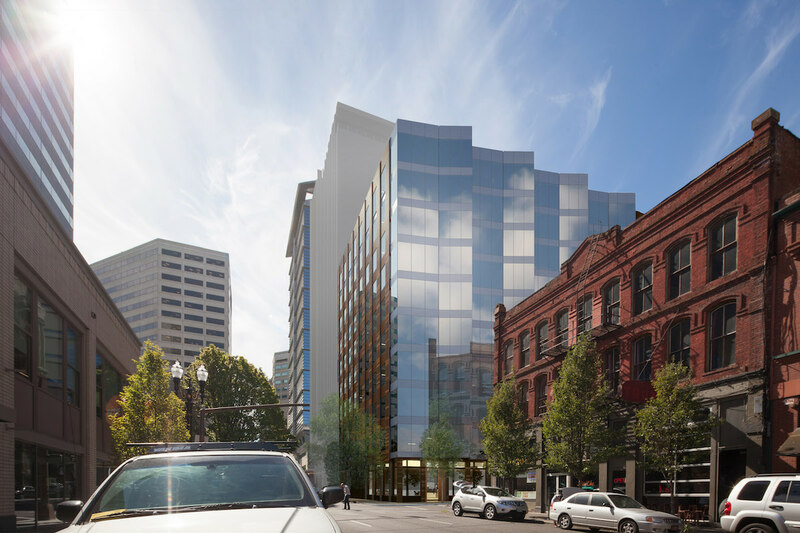 A proposed office development at SW 3rd & Taylor, that will replace the Ancient Order Of United Workmen Temple, has gone before the Design Commission for its first Design Review hearing. The 10 story building by Ankrom Moisan Architects will include 181,295 sq ft of office space and 9,530 sq ft of retail space. Two levels of underground parking will be provided, accessed from SW 2nd Ave. A bicycle room at the ground level will provide 124 bicycle parking spaces. The project is being developed by Third & Taylor Development LLC, a partnership between Onder Development and Arthur Mutal. The same architect and development team recently gained approval for a 20 story hotel tower on the same block. The Design Commission has approved Grant Park Village Phase II, a new 5 story building by LRS Architects and Lango Hansen landscape architects for developer Capstone Partners. 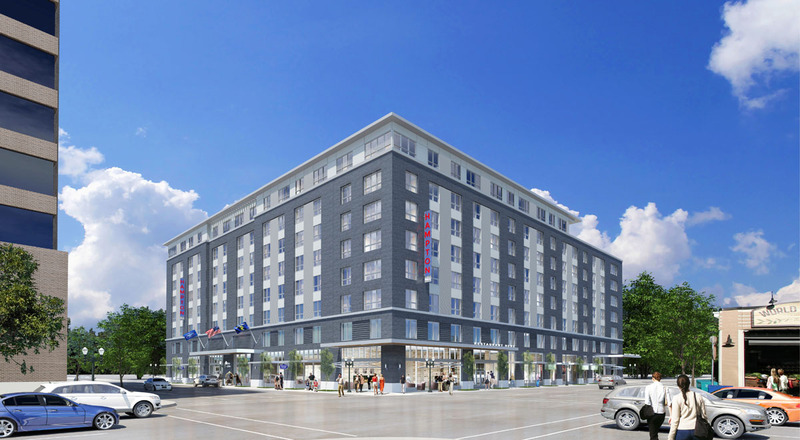 The project will include 167 residential units and 100 vehicular parking spaces.